It’s that time of year when socializing with family and friends reaches its pinnacle and the desire to look good reaches an annual high. 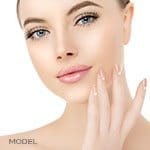 As a result, cosmetic procedures and surgeries tend to rise by about 25 percent between Thanksgiving and New Year’s Eve, according to the American Academy of Facial Plastic and Reconstructive Surgery. But what’s most popular at this time of year isn’t the big surgeries; rather, it’s the little things—a tweak here and there—that people desire most, according to cosmetic surgeon Dr. Richard Buckley, medical director at MilfordMD Cosmetic Dermatology Surgery & Laser Center, in Milford, Penn. “Botulinum toxin injectables, like Botox, fillers, facials and more can be just the pick-me-up that people need during the holidays, without the downtime (a very critical factor during the holiday season),” Dr. Buckley says. It’s that time of year when socializing with family & friends reaches its pinnacle and the desire to look good reaches an annual high. MilfordMD has many quick & comfortable rejuvenation options! 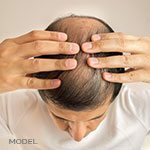 “For people whose self-esteem or energy levels are suffering, a lunchtime procedure like one of these can make them look more rejuvenated or youthful, but not dramatically different. 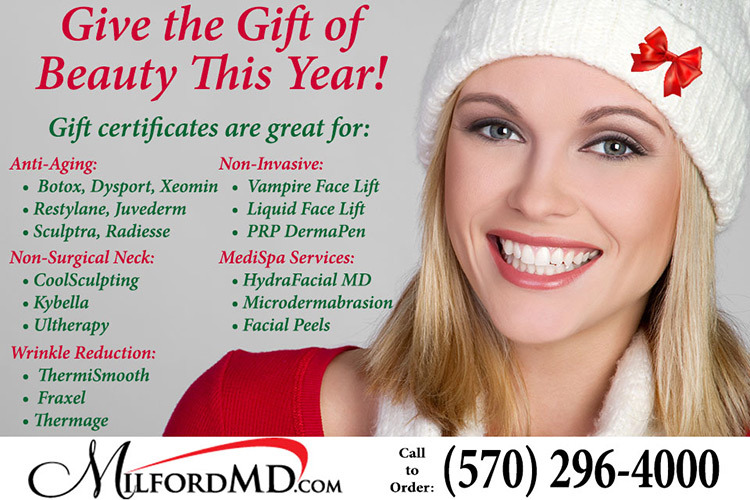 That’s generally what my patients request during the holiday season.” Among the popular offerings that give near-immediate benefits: Botox to reduce and soften lines between the brows; Juvéderm’s Volbella XC filler treatment to plump the lips; and HydraFacial MD, an advanced, customized approach to non-invasive, non-laser skin resurfacing and rejuvenation. Dr. Buckley also says patients should be aware of getting what they believe to be quick and easy cosmetic procedures from providers who are not necessarily qualified to do them. Discount deals on the internet have become popular, but even injectables can have bad consequences in the wrong hands, he says. In fact, he says, even treatments that are offered in medi-spas should be performed by experienced, qualified providers. “We have a spa on the premises, where our staff aesthetician performs the HydraFacial MD and other services. Physicians are on site at all times and perform all of the injectable and laser treatments, which provides an added level of assurance for our patients that if anything of concern should occur, we’re here,” Dr. Buckley says. Change the Shape of Your Nose Before the Holidays!